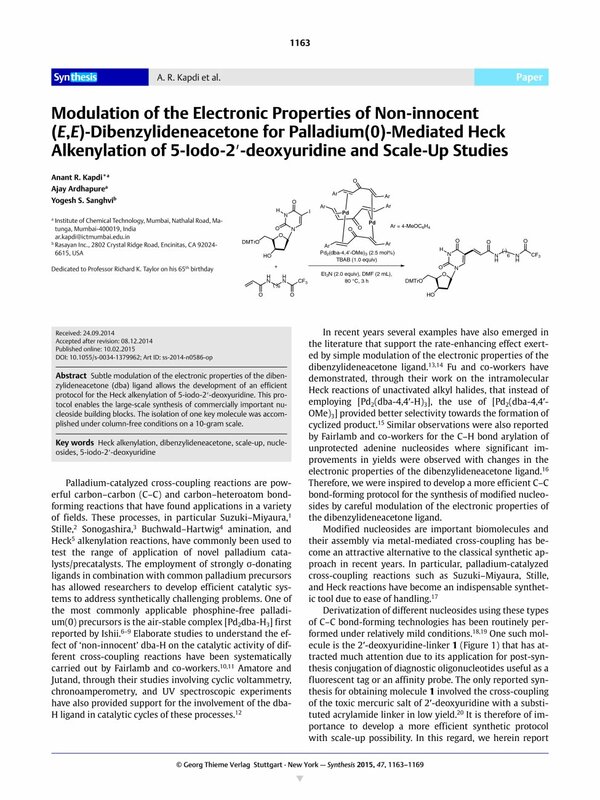 Subtle modulation of the electronic properties of the dibenzylideneacetone (dba) ligand allows the development of an efficient protocol for the Heck alkenylation of 5-iodo-2′-deoxyuridine. This protocol enables the large-scale synthesis of commercially important nucleoside building blocks. The isolation of one key molecule was accomplished under column-free conditions on a 10-gram scale. Supporting information for this article is available online at http://dx.doi.org/10.1055/s-0034-1379962.